Want to know the best exercise that you can do for your long-term knee health? 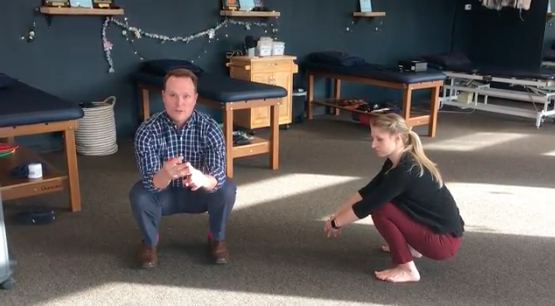 It may surprise you that the best exercise that you can do right now is a full squat stretch. So why is this stretch so important? When was the last time you even attempted getting into this position? People in third world countries who toilet on the ground spend a lot more time in this position than you or I might. Guess what? Those same people lining up for total hip or knee replacements at the rate we westerners do. Approximately 7000,000 knee replacements were performed in 2016 and that number is projected to increase to 3,480,000 by 2030!!!! If you need to hold on to something to get started grab and hold of the inside of a door frame or a very sturdy/heavy table. We are trying to achieve end range hip, knee, and ankle motion here so the lower you go, the better! 10 minutes per day. (That’s the ultimate goal here people.) Don’t worry you may not be able to (and quite frankly should NOT) start with this on day one. Do as much as you can comfortably and gradually work your way up to that coveted ten-minute mark! Spreading out this 10 minutes throughout your day is best to start. Do a few minutes a few times a day. Don’t get discouraged if it is taking a while to reach that goal. It may even take several months to work up to ten minutes of an unassisted full squat. You are now ready to perform the number one exercise that’s going to keep your joints healthy and help you live your life to the fullest! 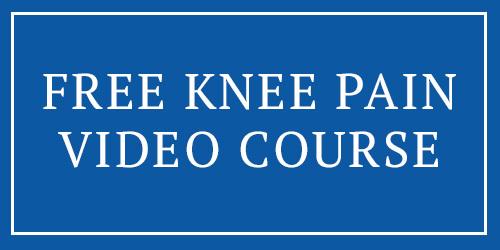 If you’d like something more in depth to help prevent and eliminate your knee pain, then signup to receive our FREE knee pain video course below. You’ll receive a free three-part video course that shows you how to finally eliminate your knee pain without medications, injections, or surgery. Click Here to gain access to the free video course or click the below image.